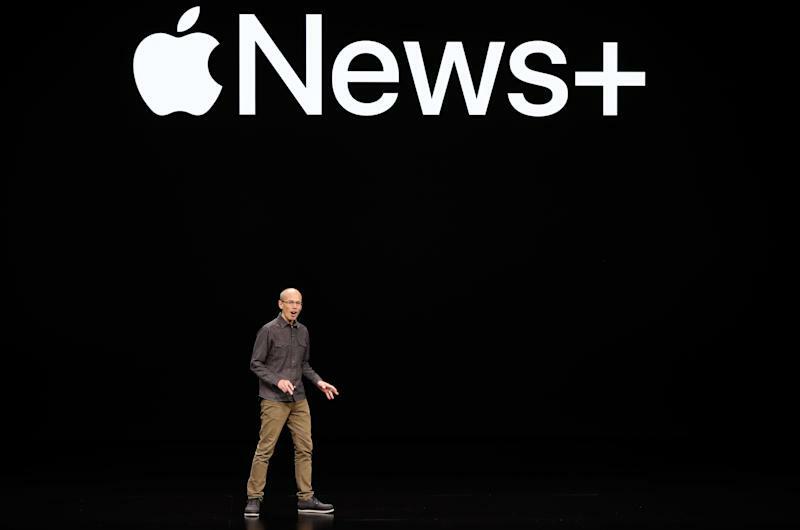 Apple (AAPL) on Monday finally unveiled Apple News+, a paid news subscription service, which will offer users access to content from over 300 publications. Launching in the U.S. and Canada in English and French on Monday, Apple News+ will charge users $9.99 a month — a flat fee that applies to all members of a family — in exchange for access to more than 300 newspapers and magazines, including The Wall Street Journal, The Los Angeles Times, National Geographic, The New Yorker, Wired, Essence, the Los Angeles Times, The Skim, and Grub Street, among others. It also recommends articles based on your interests. 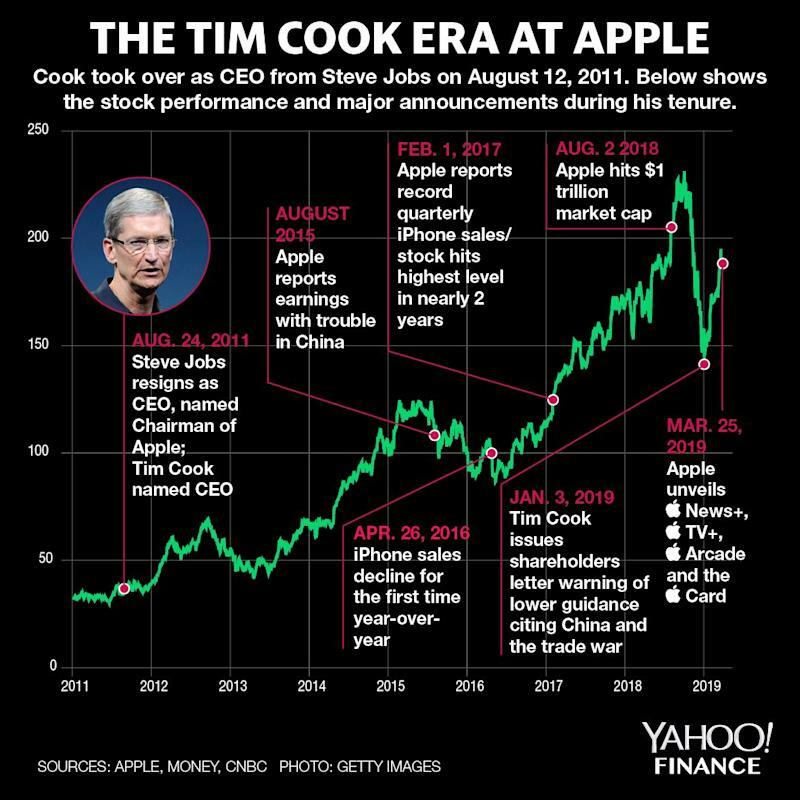 “With over 5 billion articles read each month, Apple News is now the number one news app,” pointed out Apple CEO Tim Cook during a company event in Cupertino, California on Monday. Apple director Wyatt Mitchell walked the audience through an onstage demo: a straightforward process that starts with tapping the News+ tab in the Apple News app, followed by smooth, photo-heavy article pages and the ability to go between a publication’s articles by swiping left and right. Readers can also access a publication’s table of contents. Apple also emphasized Apple News+’s privacy aspects. “What you read about in Apple news will not follow you across the web," said Roger Rosner, vice president of Applications at Apple, emphasizing the company won’t know what users are reading. According to a report published by The Wall Street Journal on Sunday, general news, politics, and lifestyle-focused stories will generally get better placement on Apple’s service over finance and business news. Apple’s subscription news service frustrated media executives at some outlets, according to another Wall Street Journal report from February, because the tech giant was asking publishers for a 50% cut of revenues. Given that newspaper or magazine subscriptions typically range from $10-$40 a month and the $9.99 price point for Apple’s own news subscription service, it’s unsurprising some media outlets balked at Apple’s revenue-sharing terms. Content from The New York Times and The Washington Post will be notably absent from Apple’s paid service — at least at launch. In a Reuters interview published last week, The New York Times Company CEO Mark Thompson expressed concern over third-party distribution platforms like Apple’s news subscriptions service, which condition some readers to find the newspaper’s journalism elsewhere and “scrambled” its journalism with other journalism from other outlets. Apple’s announcement comes a year after the company announced the acquisition of Texture, an all-you-can-read service that gave Apple access to many magazines based in North America. The Texture acquisition gave Apple rights to those publications for somewhere between five years and up to 20 years, according to The Wall Street Journal. Apple’s Services announcements on Monday are pivotal to the company’s forward-looking strategy, one that places a heavier emphasis on software services in an effort to offset flattening hardware sales. Indeed, iPhone sales for Apple’s fiscal year first-quarter 2019 declined nearly 15% year-over-year to $51.9 billion. CEO Tim Cook, meanwhile, said on Apple’s fourth-quarter 2018 earnings call last November the company would stop reporting iPhone, iPad, and Mac unit sales.